By Rahul Patel, EVP and general manager, Persistent Systems. One of America’s oldest toy companies, Hasbro, recently gathered 150 developers and created 45 products that would have cost billions of dollars in a traditional research setup. How did they do it? They held a hackathon. When a traditional toy company sees the rewards of hackathons, everybody else should be paying attention. And in some industries, they are doing just that. Hackathons have been taking place for years in tech, manufacturing and consumer goods markets, but then there’s healthcare: an industry known for its conservative, slow-to-adopt philosophy when it comes to new technologies. But the good news is that hackathons have now gone viral in healthcare—a market where innovation and talented minds are sparking the next wave of care transformation. The reason for this revolution is rather simple: When like-minded individuals across disciplines, with lots of energy get together, great things can happen. So what exactly are hackathons all about? Think of a hackathon as product ideation, development, and roll-out on steroids—often in a single day. Hackathons bring the adrenaline and clarity that comes from working under a tight deadline to a motivated group of individuals dedicated to a single task. The tight timeframes of hackathons compress grand ideas and distill them into an actionable approach that can be reasonably delivered. And we’re talking about more than the creation of a simple app. A requirement for a hackathon can also be to define the business case behind a new product or to conceive of the infrastructure that will support it. For example, the Icahn School of Medicine at Mount Sinai recently hosted its third annual Health Hackathon. With more than 100 participants from clinical, scientific, computer science, business and engineering backgrounds, this year’s theme was problems related to rare diseases, a major challenge in healthcare. Finalists presented solutions, such as a reinvention of the walker for patients with Huntington’s Disease, smartphone-based eye-tracking technology so immobile patients can interact with connected devices, and a smartphone app to provide diet-based tracking for those with metabolic disorders. In another example, the Cleveland Medical Hackathon hosted at the HIMSS Innovation Center, produced revelations such as a wristband that senses stress levels in the blood and electrical activity in the heart to help a patient monitor cardiac activity at home; a health portal that rural patients can access without the Internet through an SMS-based interface; and headgear to help blind and visually impaired people navigate unfamiliar environments—created using $20 in parts and open-source technology. Herald Health, a company recently acquired by Persistent Systems, also recently launched an intelligent workflow and care delivery solution to address the deluge of data overwhelming healthcare professionals. The solution was created at a hackathon sponsored by the Digital Innovation Hub (iHub) at Brigham and Women’s Hospital. Your internal teams may be excellent, but there’s something extraordinary in getting insight and inspiration from someone on the outside, with a new perspective, who is new to your particular challenge. And, with low cost of failure, a developer can pursue innovations that would be impossible with accountable budgets and board members to answer. By Rahul Patel, EVP of digital products and services, Persistent Systems. There is a growing interest among healthcare organizations to leverage actionable analytics solutions to derive valuable insights from data. Advanced, AI-driven predictive modeling is working to build healthier populations that meet the demands of value-based care, and new digital experiences are reaching providers and patients through a diverse array of touchpoints. Digital health solutions, driven by new and emerging data sources, are creating a unique combination of high-touch care management complemented by automated, virtual care. This digital transformation in healthcare is being driven by the changing nature of the healthcare landscape, as well as the demands from consumers for more say in their care. The healthcare industry is making significant investments in IT to engage and empower patients, enable caregivers and improve operating efficiencies. However, the industry is also facing pushback from the caregiver community, with many physicians feeling that interacting with an EMR reduces their productivity. Physician burnout and unrealized expectations from technology investments have created a mood of caution in digital investments. However, the digital transformation wave is still coming, since the proven patient health benefits, as well as industry improvements, are simply too great to ignore. 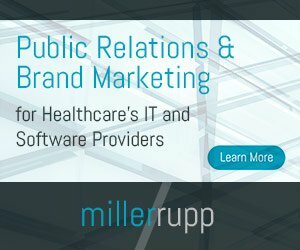 Given the abundance of software-driven tools, technology professionals face the crucial task of integrating applications and data among the various players in the healthcare ecosystem including doctors, hospitals, government, device makers, insurers, employers, pharmaceutical companies and patients. Seamless transitions of care between these constituencies, however, are still a major hurdle, and positive patient experience is decided by the totality of patient care carried out by all those — both within and outside — of a health system. Shared processes between clinical entities are only possible if the data can journey smoothly from one system to another. The problem today is that there is over-engineering in healthcare with overlapping and rich data standards and formats, and implementations that stay locked tightly in proprietary strongholds. It is imperative that digital transformation initiatives focus on interoperability and integrations through well-defined application programming interfaces (APIs). APIs are designed so that systems with validated credentials can query and access systems widely available on the internet. Systems are then designed to respond to queries from programs with data that is machine-readable. APIs deliver the ability to securely and efficiently access repositories of big data from wearable devices, social media, curated public datasets, research, and episodic care. They are the key to better understanding patients’ financial, social and behavioral context, and through predictive and prescriptive analytics can reveal trends across populations and micro-populations. With the explosion of disparate technologies, it will be about connecting them all quickly and efficiently to gain a competitive edge in healthcare. As we launch into 2018, questions remain about the healthcare policy environment and how it can impact many healthcare initiatives. As Yogi Berra said, “It’s difficult to make predictions – especially about the future.” I feel confident, however, about some fundamental trends in the healthcare landscape. These include a steady shift toward value-based care, an increased focus on data and analytics as a core enabler for digital transformation, and the all-consuming focus on the patient experience. The era of healthcare consumerism is here. Patients are bearing increasing financial responsibility for healthcare costs, and seek improved experiences as a part of the value-for-money equation. In response, providers are taking a 360-degree view of patients, employing better analytics to leverage patient data such as demographic information, lifestyles and individual preferences, to personalize interactions and treatment. Despite the overuse of the term AI to describe many types of technology-enabled solutions, the adoption of AI has been steadily gaining ground in a wide range of settings. Deep learning algorithms will increasingly be used in clinical settings to support medical diagnosis and treatment decisions, predict the likelihood of patient re-admissions and help providers better leverage the data that has been accumulating in electronic health records. According to the 2017 Internet Trends Report by venture capital firm Kleiner Perkins, medical knowledge is doubling every three years, and the average hospital is generating more than 40 petabytes of data every year. While all this accumulated information empowers more informed physicians, the growing range of data and knowledge sources creates a challenge as well, since physicians and clinicians must manage and stay on top of this information on specific conditions, especially in fields such as oncology. AI technologies are enabling time-constrained and overworked physicians to make sense of the vast amounts of data, helping them uncover hidden insights and supporting their medical diagnoses and decisions with timely and relevant input at the point of care. Healthcare organizations have been conservative when it comes to open source technologies, largely due to concerns about data security and privacy. With the growing adoption of cloud-enabled solutions and a gradual shift of enterprise IT workloads to the cloud, they no longer have to worry about risks to the IT environment and can rely on mature cloud service providers, such as Amazon Web Services (AWS) or Microsoft Azure. And, open source architecture can now incorporate robust technology components with rich functionality. Our current collaboration with Partners Healthcare to build a digital platform for clinical care is based on an open source architecture. As the industry shifts rapidly to value-based care, cost pressures will force healthcare enterprises to transform their technology strategies, turning to open source solutions to rapidly build new solutions cost-effectively. A critical aspect of clinical research today is patient-centered studies, which provide the insights that empower doctors, clinicians, and patients to make better informed care and treatment decisions. But the challenge is building an effective system to gather and share data across multiple systems and empower researchers and stakeholders within health-focused organizations to easily compare different types of interventions, conduct pragmatic clinical research and translate the benefits of that research into medical practice. The Louisiana Public Health Institute (LPHI) has implemented a system that has accomplished this lofty goal. LPHI’s work focuses on uncovering complementary connections across sectors to combine the social, economic, and human capital needed to align action for health. It champions health for people, within systems, and throughout communities. The primary challenge lies in integrating a seamless data workflow across health systems and integrating network activities into the work of existing clinical teams, and a workflow that is flexible to meet each organization’s specific clinical and research needs. There is also a great need for onboarding participating staff members who can help educate patients about a study and set realistic expectations around the trial. The technology they use needs to enable physicians and patients to make informed decisions in real-time. The non-profit organization created (and now serves as the coordinating center of) a Clinical Data Research Network, REACHnet, that increased the capacity of regional learning health systems to conduct patient-centered clinical studies. This network centers around a robust data infrastructure with a patient engagement platform for study recruitment, data collection and connection to clinical records. Targeted patient engagement – The patient engagement infrastructure of REACHnet uses a web- or tablet-based platform in examination rooms, which is electronic medical record (EMR)-agnostic. These web- or tablet-based platforms, developed by Persistent Systems, are pre-loaded with the pragmatic trial app suite (PTAS) that facilitates patient engagement with targeted educational and research content. Through what is termed as the Health in Our Hands (HiOH) patient network, the PTAS facilitates patient enrollees to engage with the research studies and programs. The dashboard provided by PTAS is currently equipped with visual graphics, charts and analysis to show patients how the study is progressing and how it could affect them. If required, the dashboard can also provide the possible treatment options and the current evidence available. The application suite is user-friendly and allows patients to interact with the study easily, share data and access information both inside and outside the clinical settings via a personal patient portal. Enrollees receive health information, research results and opportunities to participate in new studies through the HiOH patient network. This continuous engagement between the patients and the researchers, clinicians and doctors ensures the longevity of participants’ interest in the studies, which is crucial to the success of clinical research. Data access and seamless integration into workflow – The basis for a learning health system is conducting pragmatic research that requires healthcare organizations to embed clinical research into the workflow of healthcare delivery systems rather than just organize them in controlled conditions. Data is gathered at multiple sites within the network and sent to the REACHnet data center. Data collected at each site, whether inside or outside a clinical setting is associated with a Global Patient Identification (GPID) system that matches patients without the sharing of identifiable information. Selected information is pulled in by REACHnet for conducting various studies and comparing different interventions based on these GPIDs. Since REACHnet uses a common data model (CDM) to prepare retrospective and prospective research and prep-to-research queries, PTAS can quickly sync to data in the CDM to push targeted content to patients. This completes the engagement loop across a clinical workflow and provides access to data in real-time. According to a recent report only 16 percent of hospitals have clinical decision support capabilities, but IT leaders call it a top priority for the next 12 months. Healthcare reform is all about achieving better quality care at lower costs, and clinical analytics is integral in delivering on this promise. For example, reducing 30-day r-eadmissions and hospital-acquired infections alone is expected to save more than $25 billion dollars in the healthcare system. Analytics on integrated claims and clinical data will allow health systems to pinpoint effective clinical and operational interventions. Here are five high-impact outcomes that health systems can achieve using clinical analytics. 30-day Re-admission Avoidance: Hospital re-admission rates are high for patients whether they are in Medicare, Medicaid or Private insurance plans. People with multiple chronic conditions and mental health conditions are at an increased risk of re-hospitalization because of inadequate care at discharge. Demographic and social factors also dictate if the care transition will be effective or not. Evidence-based rules allow stratification of patients based on these factors. This allows caregivers to give more attention to high-risk patients during hospital discharge. Enhanced Surveillance and Preventive Care: Growing evidence suggests that education and health coaching will facilitate behavior change and achieve cost savings. The population in the program needs to be screened and stratified to identify at-risk patients. Predictive modeling and business rules can help to identify individuals who may not be diagnosed but have relatively high risk of developing diabetes in the future. Similarly, a cancer surveillance model based on linking environmental, genetic, and lifestyle factors can be used. This will allow early interventions and proactive follow-up care. Improved Medication Adherence: Non-adherence is said to be responsible for more than 10 percent of hospital admissions and 40 percent of nursing home admissions. Patients on average don’t fill more than 25 percent of new prescriptions. Costs because of lack of medication adherence exceeds $100 billion. Predictive analytics on patients’ past prescription claims data will allow the health system to create an adherence score, and facilitate a proactive approach to managing compliance. Unplanned Admission Avoidance: It’s important for health systems to identify patients with chronic conditions who may be at risk of emergency hospitalizations. For example, studies suggest that people with respiratory and cardiac comorbidities, with higher hospital utilization in prior years, have a higher probability of hospital admission. Determination of such factors along with socio-demographic characteristics, will allow application of predictive models to identify people at-risk. Length of Stay Performance Management: Several factors impact the patient’s length of stay in the hospital. This includes demographic as well as hospital operational characteristics. There are standards for length of stay based on diagnosis related group and clinical disease factors. By comparing this with patient profiles, providers can utilize resources efficiently to provide optimal patient care. This will result in significant cost savings as better case management should help to reduce the average length of stay. Dr. Sai Subramaniam is the Vice-President of Persistent Systems’ Life Sciences & Healthcare business. In this role, Sai is responsible for the overall business growth of Healthcare & Life Sciences business segments.